You could have special ordered it back then and taken European Delivery. I have a slick E30 and had a slick Compact. Appreciate it more in the E30. If you’re not a track racer, why would you want a slicktop? Might be different for everyone but for me i just hate sunroofs, Had them in a few cars and never ever used them. And a few why not reasons are they are rare and that's cool to me. One less thing to break or leak, And less weight up top on the most important part of the car for handling can't be a bad thing. So for me its more like why in the hell would i want one? I know its not for everyone and i am sure some could care less. But for me hearing what people know about them or what they have is very cool. 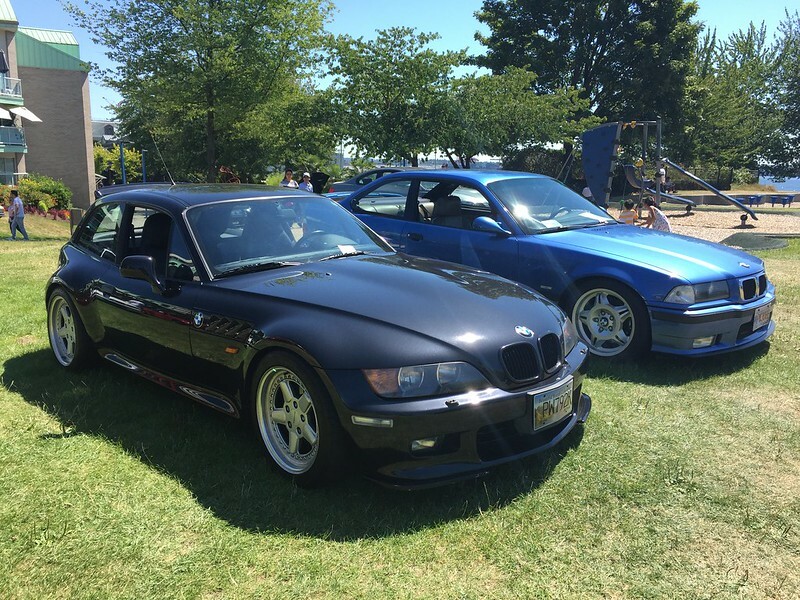 From what i have learned from browsing for sale ads for a long time is that the most common models that were slicktop seem to be M3 and the 318ti. Last edited by Dirtdiggler; Sun, Dec-16-2018 at 07:59:22 PM. My car is almost exactly like I want it. Avus blue, black cloth interior and a slick top. Came factory with the forged staggered style 24 wheels and has AC. The only thing i want that it did not come with was the cruise control. That is the only thing I need considering how low North American speed limits are. I do not think it even had an OBC. Your car is my idea of a perfect build. One thing back on topic though, is the average buyer isn't paying a premium for a sunroof or not. All that really matters with these cars is colour and condition when we are talking about numbers. Of course options will cause some fluctuation, but nothing major. No one is paying 5k, or probably even 2k for a no sunroof car over a sunroof car, if all other variables are the same. Simplicity, less weight up high, one less spot for water ingress too. I have one - when you start really looking for them, there aren't many. Admittedly when I bought it - I wasn't looking for a non-sunroof car. In the early days, you do have to pay more for a sunroof model. I am pretty sure for those who chose to purchase a slick top saved a few dollars. I think he's talking about the current used market. my 95 SN 617 was a non sunroof. The lack of a sunroof was a selling point when I bought the car in 09. I bought it to DE, and with 180K I figured if I blew the motor, I wold get half my money back because the shell without a sunroof would sell quicker than if it had one. I figured if I rolled the car, I would get half my money back because the 180K mile drivetrain was very strong. I upped my standards, so up yours. All times are GMT. The time now is 07:10:01 PM.